Length: Isaiah 5 is 30 verses long. Date: No specific date is given, but contextual clues suggest this chapter was written around 740ish BC. Certain comments and verses mention the kings of Uzziah and Jeroboam II, as well as the prosperity of Israel along with a mention of a future war. The future war is the Syro-Ephraimite war which took place ca. 734-732 BC. King Uzziah reigned for forty years stretching from ca. 785 - 740 BC. The Catholic Encyclopedia claim his reign lasted from 809 - 759 BC. The date of Isaiah 5 is believed to have been more towards the end of Uzziah's reign, after a great earthquake which took place in Israel ca. 765-760 BC. Isaiah 5, thus, can safely be placed between the years of 760 BC and 740 BC. Structure: Chapter 5 begins a new literary section introduced by an announcement of a song. Some scholars have argued that chapter 5 was really a single part of a literary unit including Isaiah 9:8-10:4. These passages speak of woes and are structured similarly - thus scholars took it upon themselves to claim the two sections were really originally one section, then divided into two and placed in different part of Isaiah. Their arguments are careless, and as Smith points out, . "not based on highly convincing evidence" Though there are literary similarities, there are enough differences to clearly demonstrate the chapters are completely separate in nature. Chapter 5 is addressed to the people of Judah - though it does address the sins of the Northern Israel as well, Isaiah aims his words at Jews living in Judah & Jerusalem. CLICK ON A LINK TO VIEW THOSE PARTICULAR VERSES. 1 "Let me sing now for well-beloved a song of my beloved concerning His vineyard. My well-beloved had a vineyard on a fertile hill. 2 And He dug it all around, removed its stones, and planted it with the choicest vine. And He built a tower in the middle of it, and hewed out a wine vat in it; Then He expected it to produce good grapes, but it produced only worthless ones. 3 And now, O inhabitants of Jerusalem and men of Judah, judge between Me and My vineyard." Isaiah 5:1-7 is the basis for Jesus' parable of the wicked tenants in Matthew 21:33-41 and Mark 12:1-9. These verses deal with God's vineyard, which is a metaphor for Israel and Jerusalem. The Jews/Hebrews were His people, established through the seed of Seth, Shem, Abraham, Isaac, Jacob and finally realizing itself in the nation of Israel during the time of Isaiah the prophet. The great prophet Jeremiah used this imagery as well in Jeremiah 2:21. "Yet I planted you a choice vine, a completely faithful seed. How then have you turned yourself before Me into the degenerate shoots of a foreign vine?" What makes this vineyard so detestable is the fruit it produces. Whereas God's vineyard was given all of the care necessary to produce abundant and good fruit; it instead produced "worthless" fruit. This should not have been the case, as God provides an abundance of whatever is needed for life. 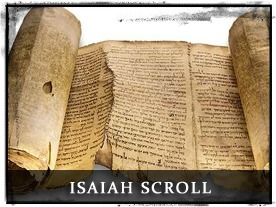 The Isaiah Scroll from the Dead Sea Caves at Qumran. Once again a parallel can be found in the New Testament involving Jesus. Matthew 21:18-22 is the story of The Barren Fig Tree. Jesus and His disciples are walking to Jerusalem in the morning. Hungry, Jesus sees a fig tree which had produced early leaves. Figs bloom in three clusters; one in June, one in August and the third in December. This tree had bloomed leaves early but had no fruit. The latter cluster of figs in December sometimes hang on the trees until spring. Fruit should have been on this tree. Jesus, seeing the leaves, had expected early fruit. Instead, the tree was barren, showing signs of fruit but having none. In Matthew 5:19 Jesus says, "No longer shall there ever be any fruit from you." The plant then immediately withered. This fig tree was symbolic of Israel, who had the advantage of early leaves - God's revelation & the appearance of Jesus - yet still rejected Christ. This encounter took place during Christ's final entrance into Jerusalem, and was the Jews last chance to accept Him. Instead they rejected Him (Zodhiates, p. 1296). Another example from the New Testament is the Parable of the Land Owner in Matthew 21:33-46. In Isaiah 5:3 we read, "Judge between Me and My vineyard". Matthew 21:40 expresses a similar sentiment when Jesus says, "Therefore, when the owner of the vineyard comes what will he do to those vine growers?" Now compare Isaiah 5:4 with Matthew 23:37. God's accusation through Isaiah is that He has done everything needed to provide for His people. Jesus repeatedly stated all they had to do was love the Lord God with all of their heart. 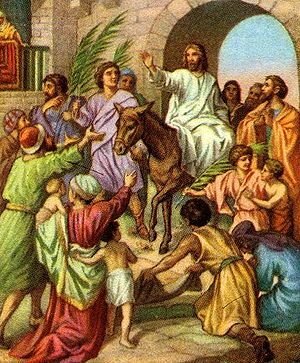 Jesus' Triumphal Entry on a donkey into Jerusalem. From the time Samuel declared to Saul "it is better to obey than to sacrifice", up until this present moment Matthew 23:37 is all God has required of His children - to love Him with all of their heart. It is important to understand the role of the prophet. Who were the prophets? What was their function in Israel? II Chronicles 36:15-16 calls the prophets "messengers of God". Yet in Jeremiah 7:25-26 Jeremiah depicts what is frequently found throughout the OT - Israel's rejection of these prophets, which was ultimately a rejection of God. Rejection of God was followed by severe consequences; and during the ministry of Isaiah that consequence was Assyria. During the ministry of Jeremiah it was Babylon. Israel had failed to produce fruit, thus in essence Israel rejected God. Isaiah was the voice crying for repentance - in much the same way John the Baptist cried for his perverse generation to repent and be baptized. 5 "So now let Me tell you what I am going to do to My vineyard: I will remove its hedge and it will be consumed; I will break down its wall and it will become trampled ground. 6 And I will lay it waste: It will not be pruned or hoed, but briars and thorns will come up. I will also charge the clouds to rain no rain on it. 7 For the vineyard of the Lord of hosts is the house of Israel and the men of Judah His delightful plant. Thus He looked for justice, but behold bloodshed; for righteousness, but behold, a cry of distress. Isaiah makes it clear in these verses exactly what he is talking about. God plainly states that Israel is the vineyard. It is interesting to take note that both "the house of Israel" and "the men of Judah" are mentioned in verse 7. This can only be taken to represent both the northern nation of Israel and the southern kingdom of Judah, thus all of Israel. The fact Isaiah uses both appellations in reference to God's vineyard means that both entities were still in existence when Isaiah 5 was written. In 721 BC the northern Israel was conquered by Assyria, its inhabitants either enslaved or exiled back to Assyria. A very small remnant of Israelites were allowed to remain. Simultaneously massive numbers of Assyrians and other foreigners were imported into what would become Samaria, filling the vacuum created. Thus it is most likely Isaiah 5 was written prior to Israel's destruction in 721 BC. Israel's destruction was later used by Isaiah as an example to Judah as to what happens when they reject God. For this reason many date the writing of Isaiah 5 to the beginning of Isaiah's ministry, ca. 740 BC. This is a deafening condemnation of Israel's leaders at the time. Israel and Judah - the entirety of the covenant people - though two distinct nations (formerly united) worshiped the same God. Yet both countries, and the people as a whole, had failed because of poor leadership. Israel and Judah's leaders became wealthy, corrupt and oppressive, leading their people astray all the while stealing from them in the name of God. As Smith points out; "God's grace would end and his curse would fall on these oppressive leaders because their lives did not demonstrate the basic godly characteristics of justice and righteousness." Jesus points out in Matthew 7:16 that leaders can be identified "by their fruits". He goes on to say, "A good tree bears good fruit, nor can a bad tree produce good fruit." In other words, we'll know them by what is produced from their actions, not the flattering duplicitous tongues of politicians and con-artists. Both Isaiah and Jesus recognized the importance of good and just leadership, thus both were hard on and quick to condemn the oppressive leaders of their time. More insight is gained into God's use of the vineyard for Jerusalem in Psalm 80:8-9. These verses speak of Israel's exodus out of Egypt under Moses, and subsequent conquest and settlement in the Promised Land of Canaan. 8 "You removed a vine from Egypt; You drove out the nations and planted it. 9 You cleared the ground before it, and it took deep root and filled the land." The "You" is God Almighty, the God of Jacob, the Holy One of Israel. The vine's meaning is symbolic of Israel on a number of levels. It represents the nation of Israel in slavery under the Egyptians; as well as the nation of Israel as it was during the ministry of Isaiah, and the nation of Israel as it is today and will be in the future. Whereas verse 9 may be in the past tense, it is an ongoing process as Israel continues to fill the land. God took great care to ensure the safety and prosperity of His people. Isaiah 5 makes it clear He is angry at their decisions - their refusal to accept His prophets and repent of their idolatrous practices, and their oftentimes violent treatment of these very same prophets sent by God. 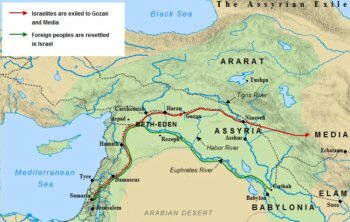 The Northern Kingdom of Israel was conquered and the people exiled to Assyria. "Therefore My people go into exile for their lack of knowledge; And their honorable men are famished, and their multitude is parched with thirst." Isaiah 5 continues in verse thirteen where God identifies one particular reason for Israel's exile. The exile mentioned is likely a prophetic reference to the Northern Kingdom of Israel's future exile into Assyria. Tens of thousands of its inhabitants were exiled into the far reaches of the Assyrian Empire, separated forever from their homeland Israel. Thus it is important to focus specifically on what God says. He blames Israel's "lack of knowledge" for their exile. What is it Israel does not know? Isaiah 1:3 may shed some light into Israel's lack of knowledge. "An ox knows its owner and a donkey its master's manger. But Israel does not know, My people do not understand." "...For they are not a people of discernment..."
"My people are destroyed for a lack of knowledge, because you have rejected knowledge I will reject you from being My priest. Since you have forgotten the law of your God, I also will forget your children." Hosea was a contemporary of Isaiah (ca. 750 - 700 BC) and Micah. Hosea preached in Israel, while Isaiah and Micah preached in the southern kingdom of Judah. Hosea began during the reign of King Jeroboam II. He predicted and then witnessed Assyria's invasion; and the following exile of the Northern Kingdom. His accusation takes it one step further than Isaiah 5 by identifying what it is Israel has forgotten. Hosea accuses Israel of forgetting the law of God. This is in accordance with II Kings 14:24-25, which states Jeroboam, the King of Israel during the time period involved, did evil in the sight of the Lord by forgetting His ways and pursuing idolatry. However, the Bible does mention Jeroboam expanded the borders of the Northern Kingdom during his reign. While God was angry, He still allowed His people to prosper for a time - giving them the opportunity to repent without the typical hard lessons accompanying it. Israel, thus, was lead astray by their leaders and forgot the law of God as handed down by Moses. This Law formed the first five books of the Old Testament and was the basis of Israelite culture. In Isaiah 5 Israel had fallen once again into idolatry, worshiping the gods of the foreign Canaanite nations surrounding them. This is a repeating theme in the Old Testament. "Therefore Sheol has enlarged its throat and opened its mouth without measure; And Jerusalem's splendor, her multitude, her din of revelry, and the jubilant within her, descend into it." The shadowy and mysterious Sheol - the underworld of the Old Testament - takes on human qualities by swallowing Jerusalem and its people whole. Isaiah means to convey the notion sin is so excessive and pervasive in Jerusalem that, should all of it's inhabitants perish, they would end up in Sheol, swallowed completely and separated from God forever. Isaiah and Hosea are preaching the same message simultaneously - one in the north (Hosea); and one in the south (Isaiah). Israel as a single entity, both the North & the South, had forgotten the Law of God. This would seemingly indicate the people had not studied their Bible, they had not spent time in His word studying - and consequently their society became debauched, evil and hedonistic. 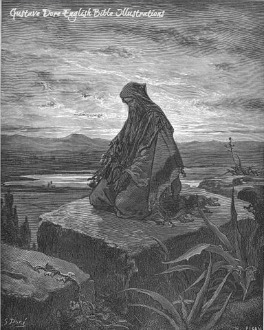 Gustav Dore depicts the great prophet Isaiah deep in prayer. In Deuteronomy 6:6-9 Moses warned Israel of not staying in God's Word. His words were just as true then as they are today.
" 6 These words, which I am commanding you today, shall be on your heart. 7 You shall teach them diligently to your sons and shall talk of them when you sit in your house and when you walk by the way and when you lie down and when you rise up. 8 You shall bind them as a sign on your hand and they shall be as frontals on your forehead. 9 You shall write them on the doorposts of your house and on your gates." A few verses later Moses warned the people to "watch yourself, that you do not forget the Lord". God knew from the beginning His people would continually forget, reject then repent - just as we continue to do in our daily lives! This is what is meant by God's mercy and compassion being demonstrated through His punishment of Israel in the OT. God knows, even as He forgives, that His people will sin again. Yet, rather than becoming frustrated and just doing away with the lot of us - He patiently and repeatedly welcomes us back into the fold. In the OT His people had to repeatedly slaughter and sacrifice animals in order to shed the blood necessary to cover their sins. In the NT, the blood of Christ was shed once for all in order to cover the sins of mankind - once for all. Isaiah not only accused Israel of sin in v. 14, but goes on to specifically list the sins of Israel in Isaiah 5:18-24. 18 "Woe to those who drag iniquity with the cords of falsehood, and sin as if with cart ropes;... 20 "Woe to those who call evil good, and good evil; who substitute darkness for light and light for darkness; who substitute bitter for sweet, and sweet for bitter!" Isaiah lists specific sins starting in v. 18. One notices the first woe mentioned has to do with those that haughtily challenge God's existence. They attach themselves to falsehoods, or foolish philosophies and man-made notions, stubbornly clinging to them. E.J. Young calls these people "practical atheists, who would not believe unless they could see". Gary Smith accuses those in Isaiah 5:19 of "sarcastic bravado" - taunting God, demanding evidence before they believe. Their arrogance deems God owes them an explanation, a sign - for only physical evidence will satisfy their superior intellect. Interestingly enough, Jesus accused those Jews of His generation of the same sin as Isaiah in Luke 11:29. "As the crowds were increasing, He began to say, 'This generation is a wicked generation; it seeks for a sign, and yet no sign will be given to it but the sign of Jonah." The need for evidence flies in the face of faith - and is why faith is held in such high regards by God. In Isaiah 26:2 the prophet states; "Open the gates, that the righteous nation may enter, the one that remains faithful." What is it to remain faithful? What is faith? The NT defines faith more than the OT. In fact, the word "faith", or a derivative of it (faithful, faithfulness, etc) is mentioned 85 times in the OT - as opposed to 277 times in the New. II Corinthians 5:7 simply states - "for we walk by faith, not by sight". Perhaps the best definition of faith given in the Bible is found in Hebrews 11:1. When people lose faith, they lose belief in God - and lose that divine standard of morality Judeo-Christian nations used as the basis of their law. Indeed Western culture and civilization since Emperor Constantine was founded upon the principles of justice and morality rooted in the Bible. What happens when a society loses an absolute standard of morality is that new standards are introduced, and morality is redefined on the concept of "tolerance" and "open mindedness". "Human rights" take precedence over Godly statutes. Or, in the case of Communism, morality is defined by the state - and religion ceases to exist. When this happens, as Isaiah states, things become opposite of what they were intended to be. Isaiah warns that evil becomes good, and good evil. We see this trending in today's society - where the elimination of God in every aspect of our culture is a daily pursuit and where traditional values are redefined and reshaped. Isaiah continues with his list of woes. v. 21 - "Woe to those who are wise in their own eyes, and clever in their own sight." v 22 - "Woe to those who are heroes in drinking wine, and valiant men in mixing strong drink." v. 23 - "Who justify the wicked for a bribe,"
v. 23 - "And take away the rights of the ones who are in the right." Verse 23 refers specifically to those leaders who pervert justice for personal and monetary gain. These kings of the earth and princes of the world grasp their power and wealth with a fierce grip - squeezing the very people they are supposed to protect and represent. This behavior is nothing new and continues to this day - even in the democracy of the United States - where greedy politicians lie and are not held accountable, and leave office a millionaire off the backs of their very constituents. The leaders of Isaiah's Israel were just as guilty as the leaders of today. The people of Isaiah's time were just as guilty of thinking they could make up their own moral standards as the people of our society today - though perhaps the modern-era bears more guilt in this particular sin. "24 Therefore, as a tongue of fire consumes stubble, and dry grass collapses into the flame, so their root will become like rot and their blossom blow away as dust; for they have rejected the Lord of hosts, and despised the word of the Holy One of Israel. 25 On this account the anger of the Lord has burned against His people, and He has stretched out His hand against them and struck them down. And the mountains quaked; and their corpses lay like refuse in the middle of the streets. For all this His anger is not spent; But His hand is still stretched out." The result of their behavior is God's wrath and anger. Verse 24 depicts images of fire consuming stubble and dry grass. The root, or life-vein, rots and dies. Their life is extinguished. All of this is a result of their previous actions - their arrogance and lack of faith. Isaiah warns the people of their awaiting fate. Historically speaking, verse 25 may refer to a specific incident that happened a couple of decades before Isaiah's ministry - yet was well known and remembered. Gary Smith alludes to a great earthquake that occurred during the ministry of Amos, ca. 750 BC. Smith points to this particular earthquake as occurring between the years 765-760 BC. Geologists believe they have found evidence of this earthquake in many of the archaeological sites of Israel. Stephen A. Austin and Gordon W. Franz wrote an article about this particular earthquake from Amos. They highlighted archaeological discoveries at six sites which suggest an earthquake occurred in the middle of the 8th century BC. The earthquake was at least a 7.8, "but likely was 8.2". The evidence suggests a catastrophic event - spoken of by the prophet Amos and identified as an earthquake. This great earthquake killed thousands of people and was attributed to the anger of God. Evidence of it's devastation is found amongst the ruins and archaeology of ancient Israel, which suggests it occurred in 760 BC. Amos 1:1 places the time frame within the context of this earthquake. "The words of Amos, who was among the sheepherders from Tekoa...in the days of Jeroboam son of Joash, king of Israel, two years before the earthquake." According to this verse, Amos the shepherd prophesied beginning in 762 BC - if 760 is taken as the date. Jeroboam is the same as above, mentioned in II Kings 14. As previously stated this was a mere couple of decades before Isaiah. 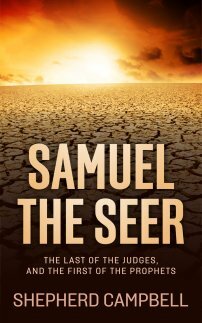 This is a fascinating glimpse into the life and mindset of ancient Israel. Amos prophecied of the earthquake in Amos 8:8 when he said; "Because of this will not the land quake and everyone who dwells in it mourn? Indeed, all of it will rise up like the Nile, and it will be tossed about and subside like the Nile of Egypt." Apparently both Israel and Judah had been in a state of ungodliness for a few decades by the time Isaiah wrote Isaiah 5. Taken in context with Amos' earthquake some twenty or so years earlier, Isaiah 5:25 makes perfect sense. God had already stretched out His hand against His people with a national tragedy years earlier. The great earthquake of Amos had struck fear into all of the people, as thousands had perished and their bodies had lain strewn about the land. 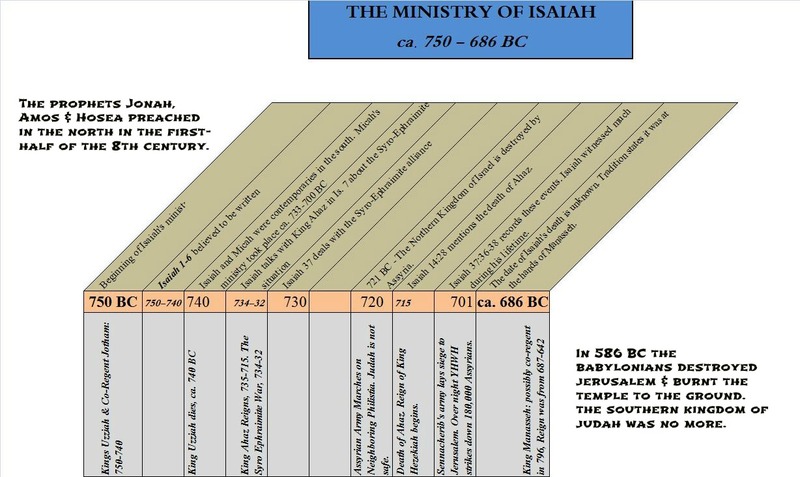 A timeline showing the period of history Isaiah ministered to Judah and Jerusalem. The Israelites surely saw this as judgement from Yahweh - yet they failed to act on that recognition. Time passed and the people moved on. A few decades later Isaiah warns them His hand is still stretched out against them! God is still angry with them because they had not listened and repented.The previous national disaster would pale in comparison to what lay ahead. It is important to read these two passages from Amos and Isaiah together to realize the full implication of Isaiah's words. In order to do this we must examine the dates of each. For the sake of argument, Amos' earthquake occurred in 760 BC. Though not specifically stated in the Bible, Isaiah 5 contains implications which suggest it was written in the years of Uzziah and Jeroboam II (Smith, p. 164), prior to a major military campaign - which occurred with the Syro-Ephraimite War in 734-732 BC. Thus Isaiah 5 can be said with some relative certainty to have been written between the years of 760 - 734 BC. The reigns of Uzziah and Jeroboam II stretched over a forty year period in Judah & Israel. This makes it likely Isaiah wrote this chapter sometime in the 740's BC. This is significant because it shows, though Judah experienced great expansion and growth under King Uzziah, the spiritual state of God's people had been in decline for at least three decades. This was especially the case in the Northern Kingdom of Israel. "He will also lift up a standard to the distant nation, and will whistle for it from the ends of the earth; and behold, it will come with speed swiftly." Isaiah 5:26 begins with the decreed punishment for God's people for continuing in their rebellion. Their repeated rejection of God's Law since the earthquake of Amos up until the time of Isaiah - a period of over twenty years - leads God to declare and identify the judgement awaiting His people. Verses 26-30 depict that judgement, with verse 26 indicating it will come at the hands of a distant and foreign nation. This nation is, of course, Assyria - whose war drums were beating loudly upon the world stage ca. 750 BC. The Assyrian Empire was in full swing and growing. The Rock of Judah will now oversee and direct the destruction of His vineyard. Make no mistake - this punishment for Israel was decreed by God - He whistled for Assyria - and He directed them to Israel. Though God allowed time for Israel to repent - history shows only one nation did. Isaiah 7:18 corroborates this passage in Isaiah 5. First notice Isaiah 7:18 uses the phrase, "in that day", which can either mean a future day, or the day at hand. In the case of these events in Isaiah 5 & 7, "in that day"refers to the day at hand, and not the future day of the Lord. God is calling for Assyria to come take part in His divine plan. The Lord of hosts is a God of history. Isaiah touches on another point as well - the speed with which Assyria's army will arrive on the scene. When God acts, one can be assured it will occur - and with dramatic effect. The speed of Assyria will be shocking to the Israelites. Interestingly enough Moses had warned Israel of this very army in Deuteronomy 28:49 - hundreds of years earlier. Moses' pronouncement is one of judgement as well, for in Deut. 28:47 we learn Israel "did not serve the Lord your God with joy and a glad heart". Moses is warning Israel of what will happen should they forget the Law of the Lord of hosts. "The Lord will bring a nation against you from afar, from the end of the earth, as the eagle swoops down a nation whose language you shall not understand." Scholars take this as a prediction of the Assyrian invasion. Both armies come from the ends of the earth. Both armies come with great speed. Perhaps more importantly though, both armies are judgements from God for Israel's sin - and both armies are called for by God. 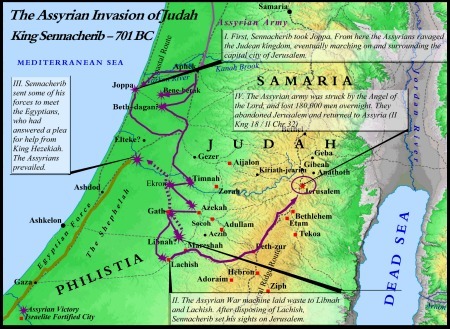 A map showing Sennacherib of Assyria's invasion of Israel & Judah in the 8th century BC. God speaks and works with the Gentile nations of the world just as He does Israel. With the death of Jesus in the NT, the spirit of God was made available for all mankind. However, in the OT God was the God of the Jews alone, which is why this is a unique verse in the OT. God reaches out to the pagan nations, just as He did in Isaiah 44:28 when He called the future Persian King Cyrus "My shepherd". Even in the Old Testament God interacts with all nations, peoples and religions. The final verses of Isaiah 5 convey gloom and despair to the Israelites as a description is given of the invading army. They are pictured as being ready to wage war (v. 27) - "no one in it is weary or stumbles" - they are ready, poised, armed and anxious to lay waste their foes. They don't sleep and they are always ready for battle. Their arrows "are sharp and all bows are bent" (v. 28), their horses "seem like flint", and their chariots "like a whirlwind". The sound of the invading army will be "like a lioness, and it roars like young lions" (v. 29). The unknown is always scary - especially when described like Isaiah does in verses 26-29. The Israelites of the land were terrified of these invaders - and if they weren't, they soon would be as Assyria was on the march to the Levant. Isaiah 5:30 sums up what awaits Israel.
" 27 No one in it is weary or stumbles, none slumbers or sleeps; nor is the belt at its waist undone, nor its sandal strap broken. 28 Its arrows are sharp, and all its bows are bent; the hoofs of its horses seen like flint, and its chariot wheels like a whirlwind. 29 Its roaring is like a lioness, and it roars like young lions; it growls as it seizes its prey, and it carries it off with no one to deliver it. 30 And it shall growl over it in that day like the roaring of the sea. If one looks to the land, behold, there is darkness and distress; even the light is darkened by its clouds." As if to re-emphasize the speed of this distant nation in verse 26, Isaiah highlights in verse 27 that none of its members will be tired nor stumble in their speed and swiftness to destroy. They don't even sleep. These warriors are so well conditioned and equipped, they do not even have a broken sandal strap. Their weapons are in prime condition, arrows sharpened and bows bent. Even their horses seem indestructible. This is a well-oiled machine of death and destruction. The LXX says their "chariot-wheels are as a storm" - and - "they rage as lions...and roar as a wild beast". Interestingly enough, the prophet Amos also compared God to a lion. Amos was a shepherd from rural Judah. He ministered ca. 750 BC during the reign of Jeroboam II, around the beginning of Isaiah's ministry - even before Isaiah 5 was likely written. Remarkably, Amos' ministry only lasted a few days - but his message has lasted millennia. In Amos 1:2 he warned the rulers and priest of Jerusalem; "The Lord roars from Zion, and from Jerusalem He utters His voice...". Again, in Amos 3:8 he says, "A lion has roared! Who will not fear? The Lord God has spoken! Who can but prophesy?" Through Amos God warned Israel to "Seek Me that you may live" - but if they failed to do so then calamity would fall upon them. Naturally, Isaiah's audience would have wondered who this fearsome enemy was. At the time of writing, Isaiah's audience lived in a period of prosperity and luxury. In Isaiah 5:8 we read, "Woe to those who add house to house and join field to field" - indicative of exuberant wealth. Isaiah preaches against their banquets and those "who stay up late in the evening that wine may inflame them!" Israel and Judah had become decadent and lazy in their prosperity - failing to recognize the God of their forefathers who had blessed them. Isaiah warns should they continue in their sin, God's judgement will come in the form of this merciless and powerful enemy. His instrument will be severe. Both Amos and Isaiah foresaw Assyria's future invasion of Israel and Judah. Assyria was indeed a lion and a wild beast. They became one of the most cruel and savage armies in the annals of world history. Assyria became God's instrument against His people. Isaiah 5 helps paint a picture of Israel and Judah in the days leading up to Assyria's invasion of the land. Isaiah's ministry began in these pre-Assyrian days of prosperity - which were soon to be followed by "darkness and distress".